Hello! 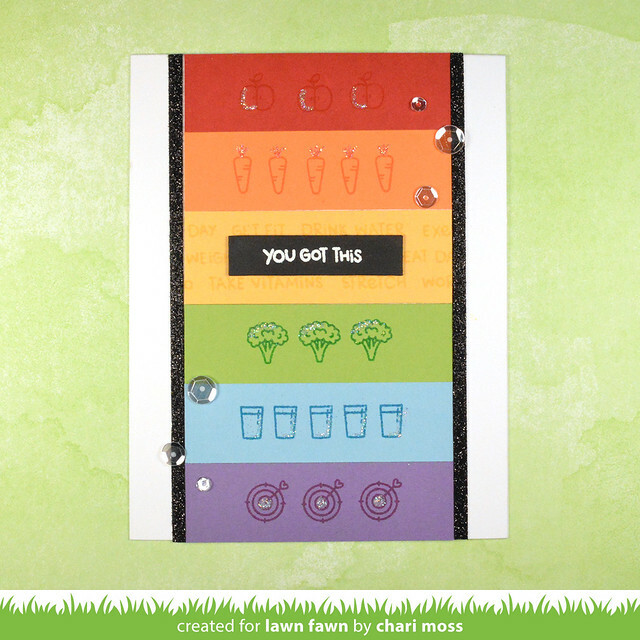 Today is the final day of Lawn Fawn inspiration week and we are featuring the new glitters and the new set Plan On It Fitness. I created a card using this stamp set even though it is meant for planners, but it has some fun fitness themed images that would be great on an encouragement card. I did some simple tone on tone stamping on rainbow cardstock strips and stacked them down the center of my card. I added some thin strips of black glitter paper down the sides and some prisma glitter accents to the images. The sentiment is white embossed on black cardstock and I added a few clear sequins to finish things off. 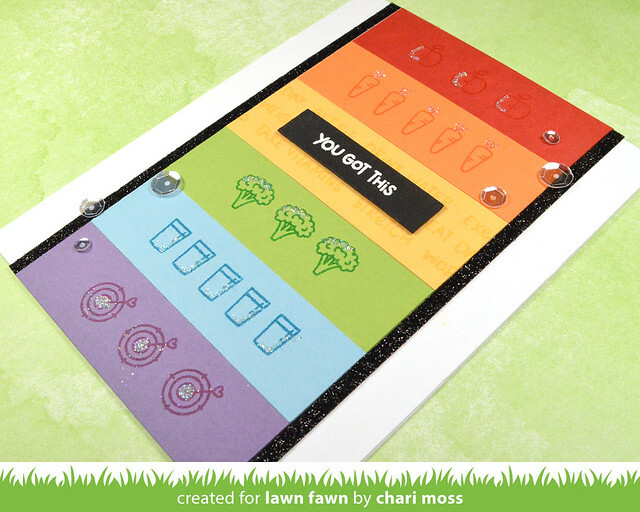 Be sure to stop by the Lawn Fawn blog for more Plan On It Fitness projects. Thanks for stopping by today. This is a great cheerful card !! What a great way to use the planner set. Your samples from the inspiration week have been awesome. I always enjoy your work, even if I don't comment on them! Thank you! So cute...I know alot of people who could use encouragement cards like this. Me included!